Lucy has been in the health and wellness industry since 2004. Starting off with the team at No1 The Health Club, she has made a commitment to learning new skills and ideas throughout the course of her career and has a wealth of knowledge to draw on from both the formal education she has completed, along with her own life experiences. 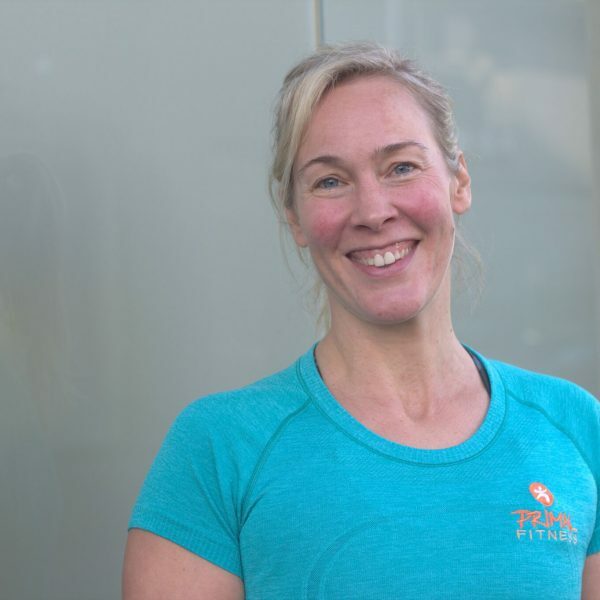 Lucy has a multitude of qualifications centred around exercise and movement, as well as a Yoga Teaching Certificate and Precision Nutrition Level 1 Nutrition Coaching Certification. In her own training, Lucy likes to challenge her body with movement and load, using a combination of more traditional compound resistance exercises along with movement based patterns that challenge the whole body and core. She likes to ensure that she remains injury free, optimally functional and flexible. Lucy has helped her clients achieve great success with various goals, from fat loss to strength to rehabilitation, from fun runs to half marathons to simply ensuring that exercise was a part of their weekly schedule. She enjoys connecting with each and every person, learning about what they need and doing her best to make the time that they spend together beneficial. Originally from England, Lucy has been fortunate to live in several different countries, has experienced a full and varied life and is now very happy to be back home in Sydney. Why did you get into the fitness industry? If you were doing something before, what were you doing? After spending years in roles as a PA, I moved into training IT products and loved teaching. Then in 2003 I lived in New York for 9 months and, unable to work, I did a course to be a Personal Trainer. I moved back to Australia and started working in a health club at the beginning of 2004. I haven’t looked back since. Favourite sport or physical activity? I love snow sports – skiing and snowboarding are my favourites. I also took up rock climbing a few years ago and love the challenge in balancing strength and flexibility with courage. On a sunny day, I’m a huge fan of going out for a walk, getting fresh air and sunshine, preferably near the water. Otherwise, I’m just as happy pushing myself in the gym. Anything that challenges as much of my body at once – ViPR drills, cables, throwing heavy weights around. Exercise or event you’d like to get better at? I’d like to put some focus into more gymnastics based moves – using the rings, chins up, handstands. Gelato Messina – I love the special flavours, anything peanut butter or chocolate based. Why do you like Primal Fitness? First, I love the community feel, knowing everyone’s name, feeling a part of something inclusive. Second, from a trainer’s perspective, the team are intelligent, driven and know what they are doing. They create personalised programs that work towards people goals in a safe and effective way using a wholistic approach to preserve function and avoid injury. Thirdly, the model allows clients to be self directive, to be in charge of their workout, to be responsible for their effort. As trainers we can tell you what to do, but you have to do it for yourself. Contact us today for a free initial consultation and workout. organization and is seasoned leader in the health and fitness industry. with their major focus being quality of life. § OD on Movement, Movement Solutions and Performance conditioning. psycology) for many of their clients. wellbeing outcomes and quality of life. Would you like to start achieving your goals today?